Liberia will prosecute Ebola-infected Duncan for lying during airport screening. 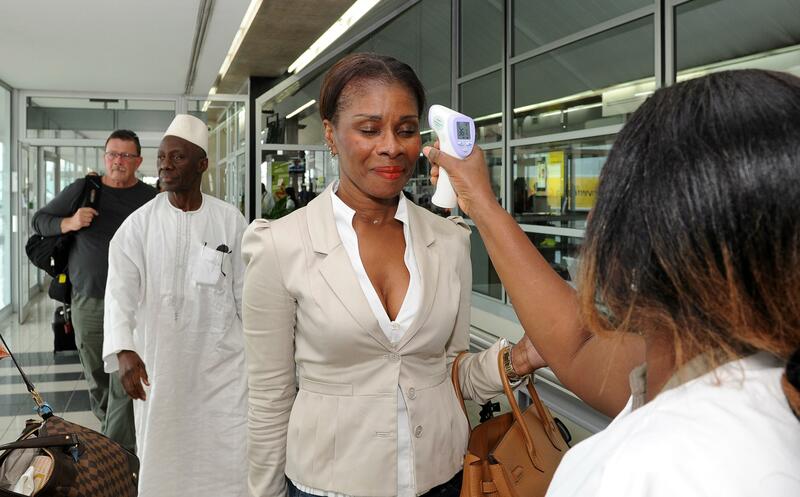 An Ebola airport screening in Abidjan, Ivory Coast. The Liberian man infected with the first case of Ebola in the U.S. will face prosecution when he returns to the country for lying on an airport screening questionnaire before departing for the U.S. On the form, Thomas Eric Duncan, answered “no” to questions about whether he had “cared for an Ebola patient or touched the body of someone who had died in an area affected by Ebola,” the Associated Press reports. Days before leaving Liberia, Duncan accompanied a pregnant woman to the hospital who later died of Ebola, according to extensive reporting on the chain of transmission done by the New York Times.